Maybe the French Market Corp could make some income by using small electric trucks to deliver some goods from larger trucks delivered to their Barracks shed to restaurants and bars in the center of the Quarter? Trucks longer than 36 feet can no longer freely maneuver through the historic neighborhood. That is unless their owners opt to pay $125 a year or $10 per trip to basically dodge the ban. New Orleans City Council (mostly) bans big trucks in French Quarter | NOLA.com. 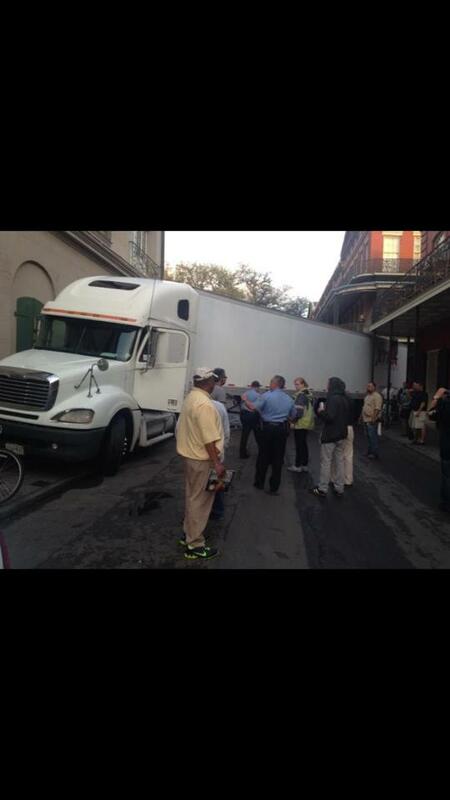 This entry was posted in French Quarter and tagged trouble, trucks.